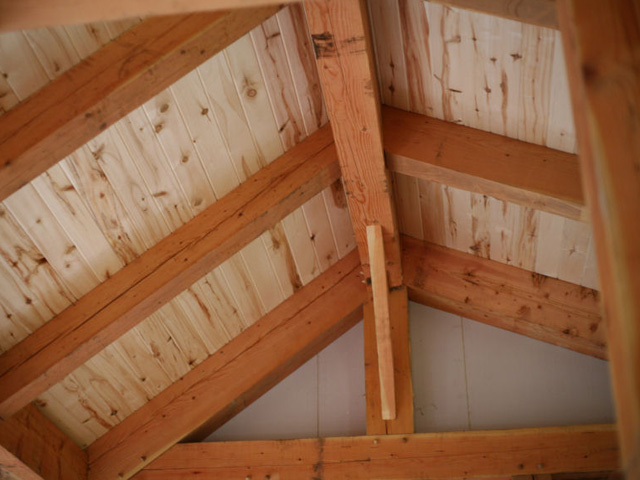 Structural Insulated Panels (SIPs) are a very common choice for enclosing a timber frame. 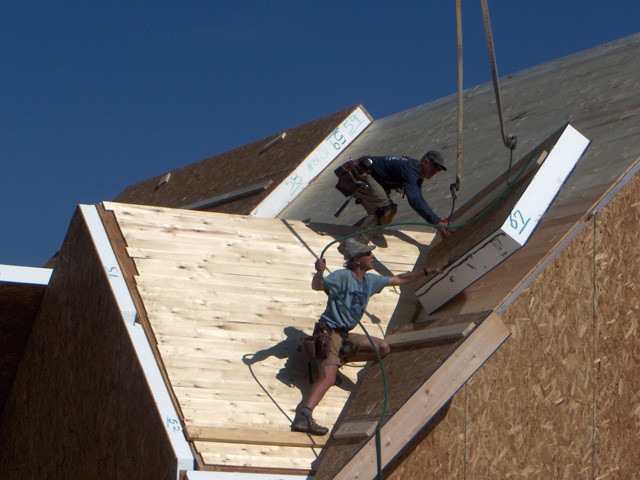 SIPS are two pieces of oriented strand board (OSB) sandwiched around an expanded polystyrene core — they provide the enclosure and the insulation all in one. SIPS provide an energy efficient enclosure, combining high R value and a tight seal. 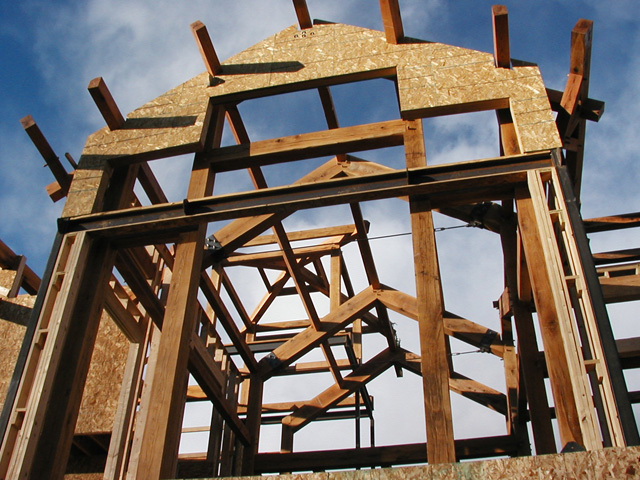 In addition, a SIP enclosure typically goes up in a matter of days, meaning your timber frame can be fully enclosed and all but dried-in almost immediately after raising.